Junks are unique to Hong Kong. It’s an unbelievably spoiled combination of luxury boats, beaches, booze, and exciting water activities. And also an excellent excuse to get drunk during the day time, and show off the beach body you’ve been working hard on all winter and spring. Usually junk trips happen between late May to October. Basically you book a boat for a whole day and sail out to a nice beach and chill on the boat or at the beach. How to book a boat and food caterer? 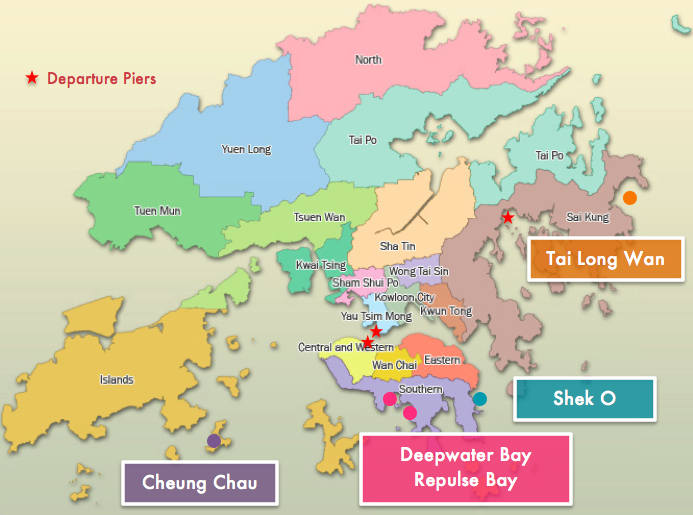 Boats depart from the Central Pier or TST Pier, and Saikung Pier see below for the docking locations for different beach destinations. This depends on a lot of different things, like if you’re booking a basic boat or a luxury yacht, what food caterer you use, how much booze you need, and how many people are attending. But typically per person it will be at the very least HK $500, another HK $200 for food, and then alcohol will depend on how much you drink. These beaches are the most commercial ones, with lots of restaurants nearby and full facilities like bathrooms, showers, and lots of stores selling beach related products. They are much more crowded than the other ones but easier to access. Most junk providers will sail to these beaches. This one is a bit hard to get to. You can either take the MTR to Choi Hung station and then cab it to Sai Kung, or take a mini bus from Mong Kok/Yau Ma Tei to Sai Kung directly. But once you get to the beach you're greeted with flour like smooth white sand and breathtaking views. Independence day – 4th of July! Junk boats usually provide tubs of ice for you to store alcohol, so bringing your own booze is actually not that inconvenient. If every person contributes a bottle of wine/champagne, or a few packs of beer you’ll be good to go! Don’t forget to bring some chips as well. There's nothing more awkward than scrolling through your iPhone and trying to find a good song that everyone likes. Create a playlist beforehand, or simply play some tunes off of sound cloud! If you can afford it, hire a DJ! Below are just a few of my recommendations for music. Never underestimate the amount of sunscreen you need. And don't forget to put sunscreen on your face. I can't tell you how many times I came back from a trip to the beach with a burnt nose! This Neutrogena waterproof spray sunscreen is definitely one of the best if your'e going to be in the water and in the sun all day. 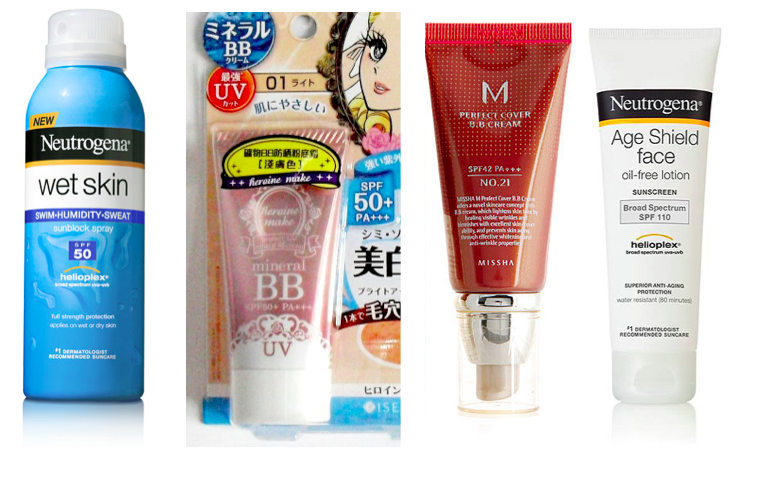 For girls, BB cream with SPF in it also helps a lot. Here are my top 3 recommendations: Isehan BB Cream SPF 50 PA+++ (Japanese), Missha Perfect Cover BB Cream SPF 42 PA+++ (Korean), Neutrogena Age Shield Face Sunscreen SPF 110 (American). Also don't forget your choice of SPF lip balm! To sum up: Sunscreen, SPF makeup, swimwear, change of clothes, towel, comb, and extra hair ties. Hopefully this blog posts gives you a better idea and helps you prepare for junk trips in Hong Kong! They're definitely one of the best things about living in Hong Kong. Happy summer and happy tanning!